In JB Bazar, to be precise. The last—and only—time I got henna-ed this elaborately was for my wedding in 2009, so I jumped at the opportunity to get it done again. The ladies at the stall had folders with design samples in them. I chose an elaborate pattern but one of them told me it would be a lot easier if I let her freestyle it, so I let her take reign. She is this very sweet person whom Shah and I ended up talking to the whole entire time she drew on my hands—and she didn't even mess it up, as far as I could tell. We found out she was a nurse who could speak 11 languages (without attending classes, so you could say she's good at freestyling other things in life) and had lived pretty much in all parts of Malaysia. She's moving overseas soon though, so, sadly, I might not see her the next time i go to JB Bazar. But it was definitely a pleasure meeting someone like her. Henna, by the way, is a form of temporary tattoo, made using the flowering plant henna. 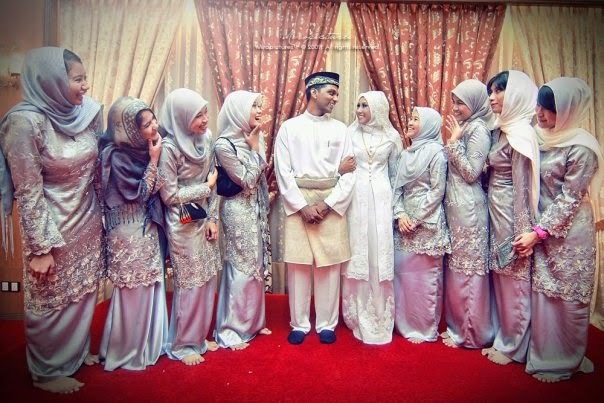 The Malay females in Malaysia have always had henna done right before their wedding day. 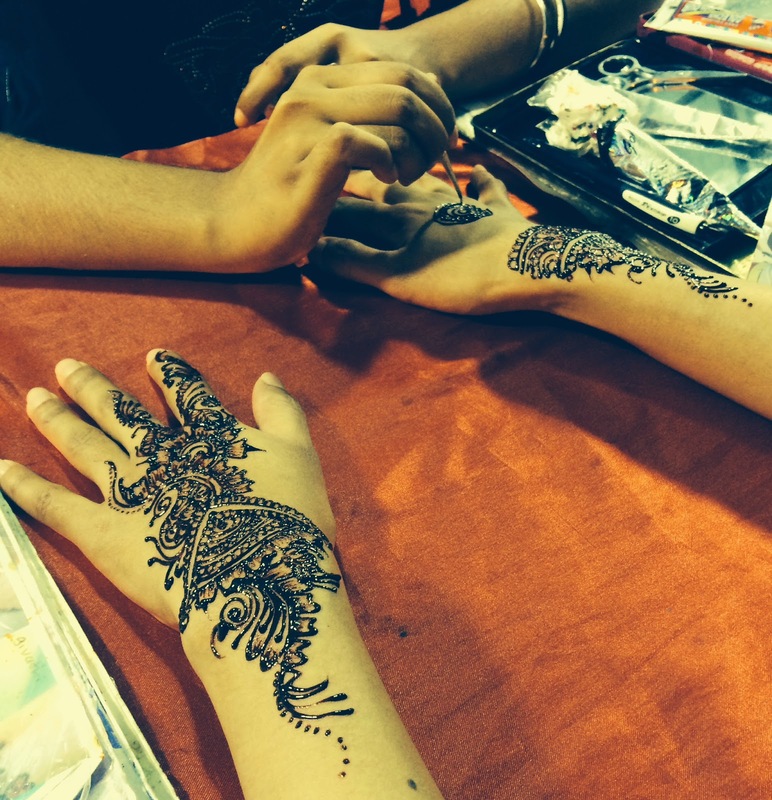 Back in the olden days, however, the henna was applied mostly at the tip of the fingers. Only in recent years has henna evolved into fancier motifs. I was first fascinated with henna when I was a little girl; it was the first time I saw a bride getting her henna done by her mother. In our culture, old(er) people have said that a girl should not get her henna done before she is ready to be married, or else the 'magic' or the 'sanctity' of the whole thing would be lost. I'm not a believer in that notion at all—a henna is a henna and that's that—but I did want my first henna to be special. So, unlike some other girls in my primary who went to school with henna on their nails, I waited until the days before my wedding to get my first ever henna experience. I remember getting it done in the kitchen at my house with my family and relatives all around me and going, "Oh my God this is SO pretty so awesome so gorgeous and so everything!". And of course I can't find a close-up photo of my wedding henna, so this pretty photo of my Shah, my maid of honour and my bridesmaids would have to do! 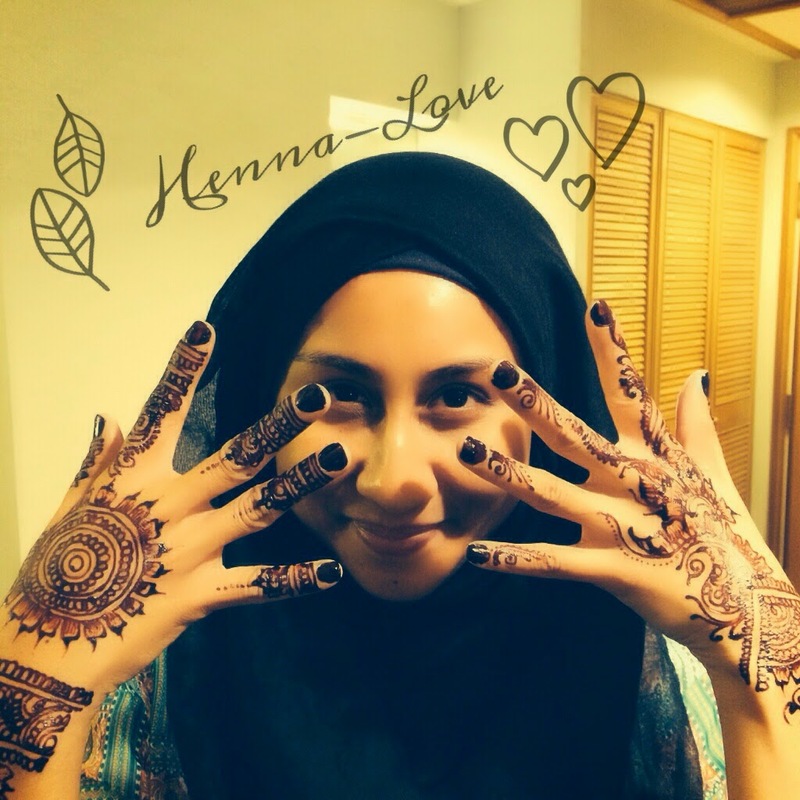 Your henna looks amazing! I love having it done too. I actually think this henna is better than the one I had for my wedding! Thank you for your sweet compliments, thatsfetch.